Yowzas! Halloween is right around the corner! I haven’t been much of a Halloween card maker, but since my friend Connie’s birthday is on Halloween, I’ve started making her spooky birthday cards each year. She gets so excited that she spurred me into re-thinking the Halloween thing! Then I met a new stamping friend, Nancy, who is REALLY into Halloween. She convinced me to buy a spooky tree stamp and a Martha Stewart punch. So here we are…. 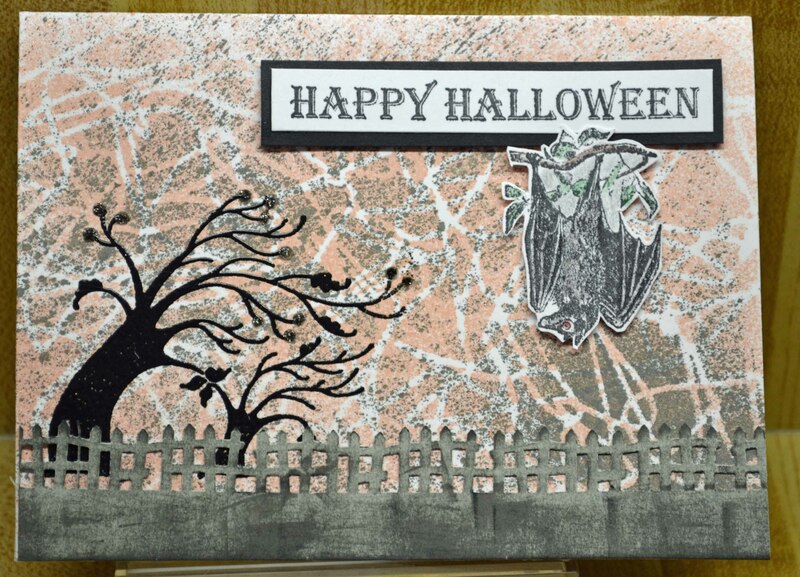 making Halloween cards. I’ll start with my favorite, which came about entirely by accident. 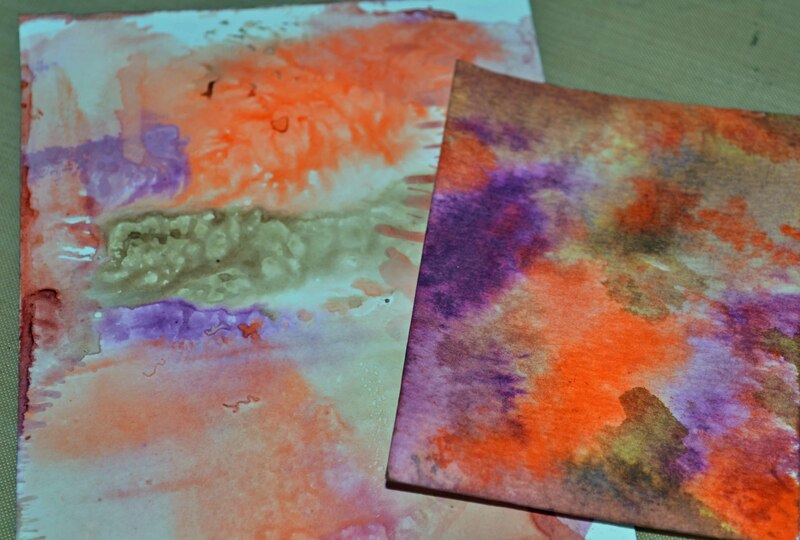 It started because I was testing those scrumptious Tim Holtz Seasonal Distress Inks from Ranger. 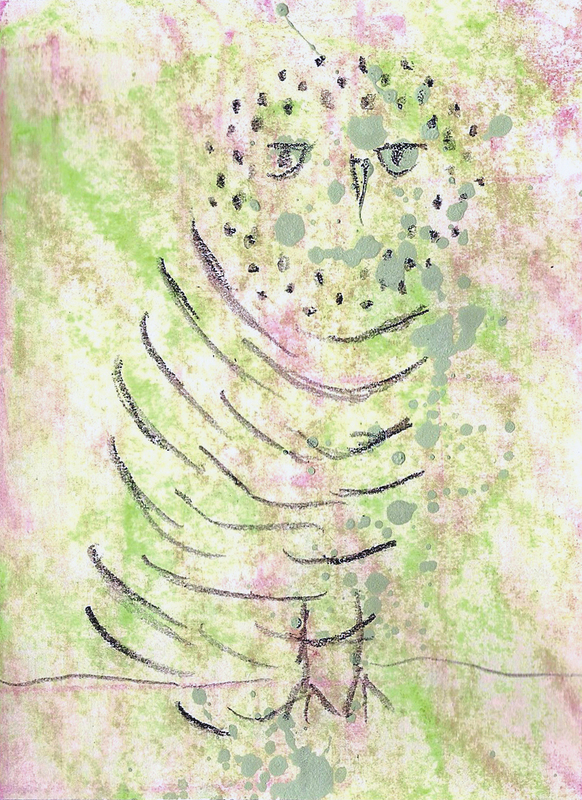 I smooshed the three inks (gathered twigs, ripe persimmon and seedless preserves) on my craft sheet, misted and then just plopped down the first piece of scrap paper at hand, which happened to be a coated cardstock. (I am SO impatient — I had to try these immediately — practically as I was running out the door!) I wasn’t planning on using the piece. (I’ll have more about these inks in another post.) But when I came home, it looked so yummy I trimmed it and figured I may as well stamp something on it! I stamped the diamond pattern using the gathered twigs ink, dried it with my heat tool, then stamped and black embossed the bird and the sentiment. 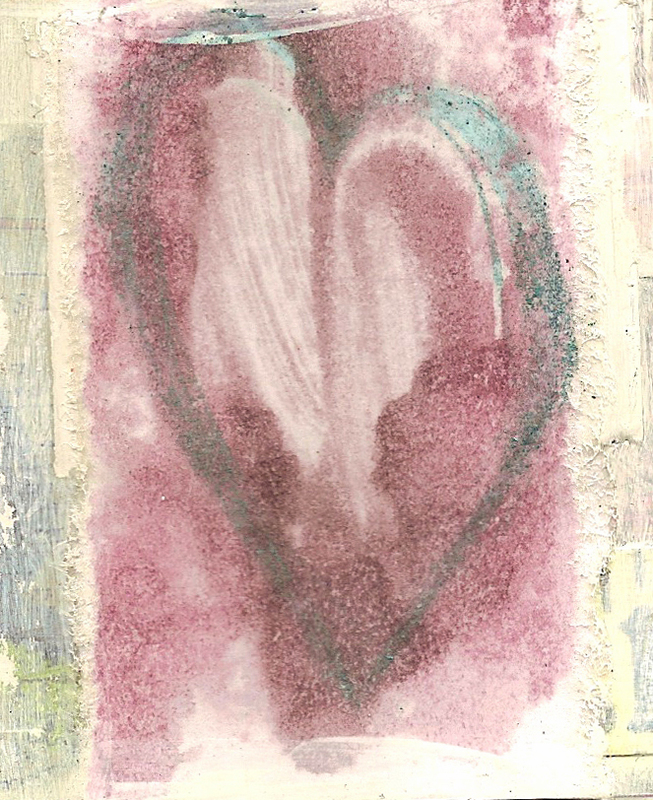 A little trick: Before stamping and embossing, I swooshed the piece with my anti-static bag. Mine is an old one from Stampers Touch, but I believe you can find them at Sparkle ‘n Sprinkle and other sources. All stamps are from Close To My Heart; the white border strip is from Spellbinders. The spider web is stamped in white pigment ink. 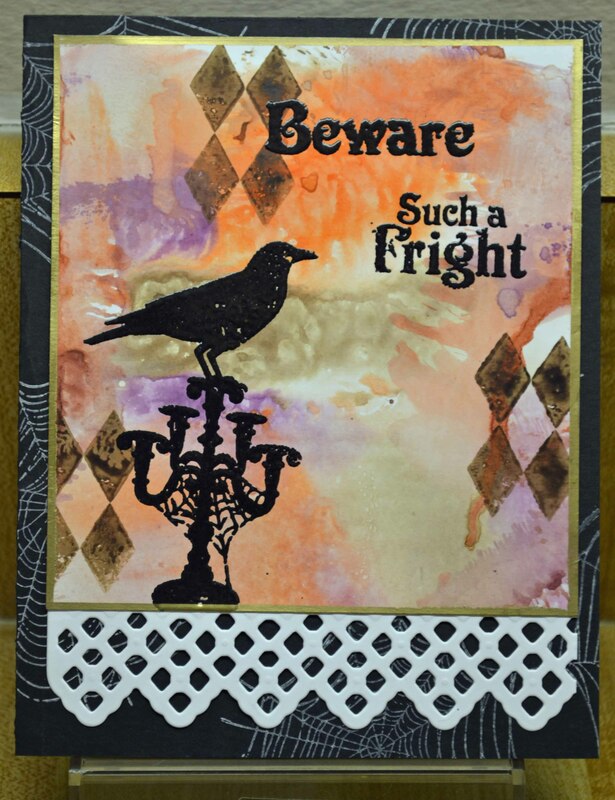 The background was made using ClearSnap’s Smooch Spritz sprays (Donna Salazar color collection) over a Crafter’s Workshop stencil. The tree (Stampendous) was black embossed (thanks, Nancy, for making me buy this stamp! 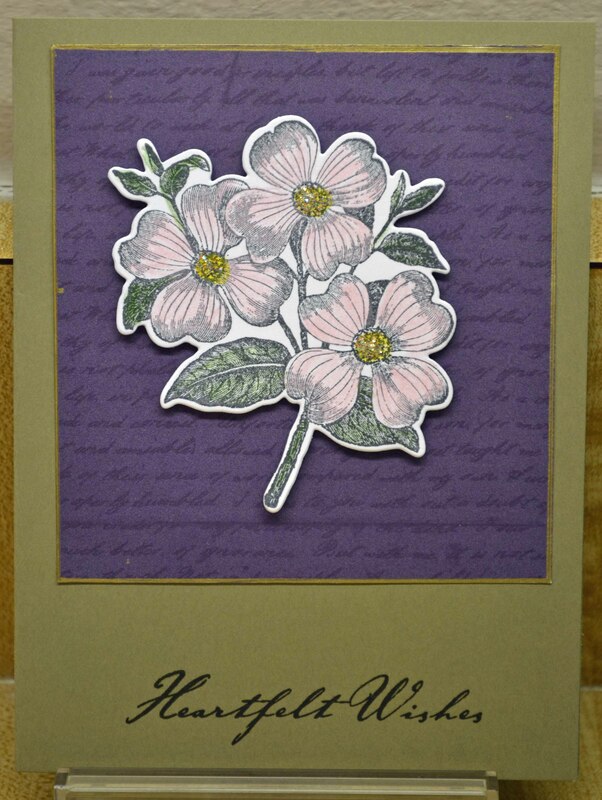 ), the fence was punched (Martha Stewart) from gray cardstock then colored with Stephanie Barnard black dye ink (NEW from ClearSnap). (Check out Stephanie’s website here.) The bat and sentiment are from Artistic Outpost. 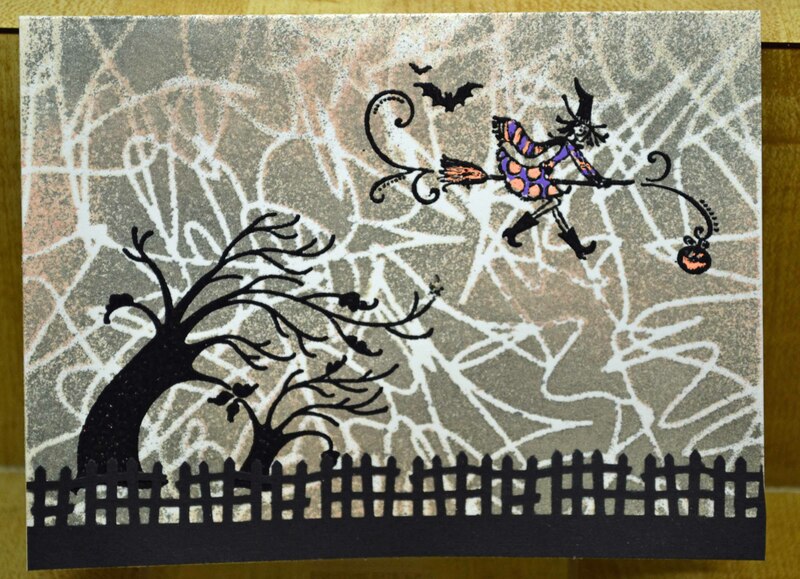 The flying witch is an oldie from Hero Arts, black embossed then colored a bit with neon gel pens from Sakura. Images all from Close To My Heart; punch is from EK Success. Have a fun — but safe! — Halloween, and thanks for stopping by. What? A mid-week post??? Yes! I have so much to share over the next few days I thought I would break it up. Delicata — sigh. 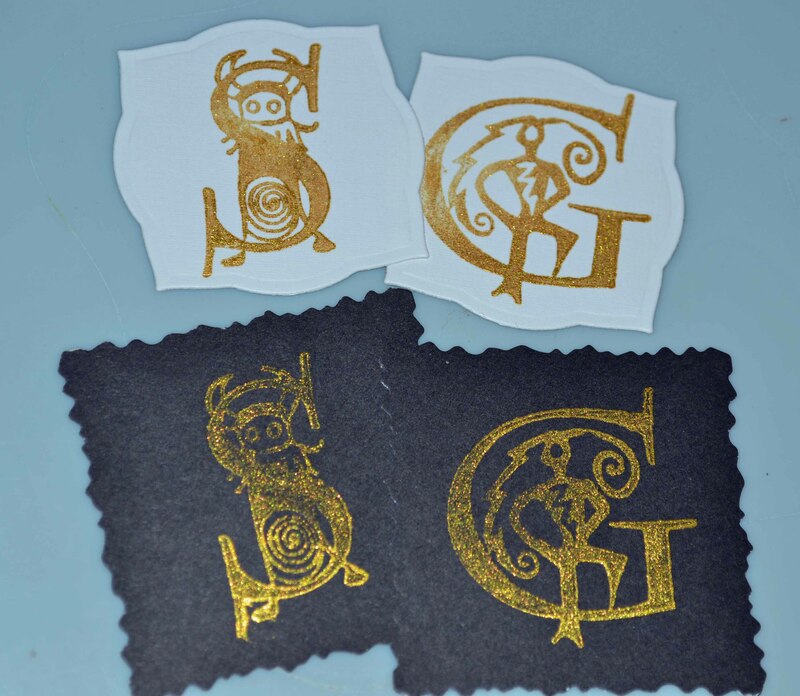 I love this new gold ink from Tsukineko. 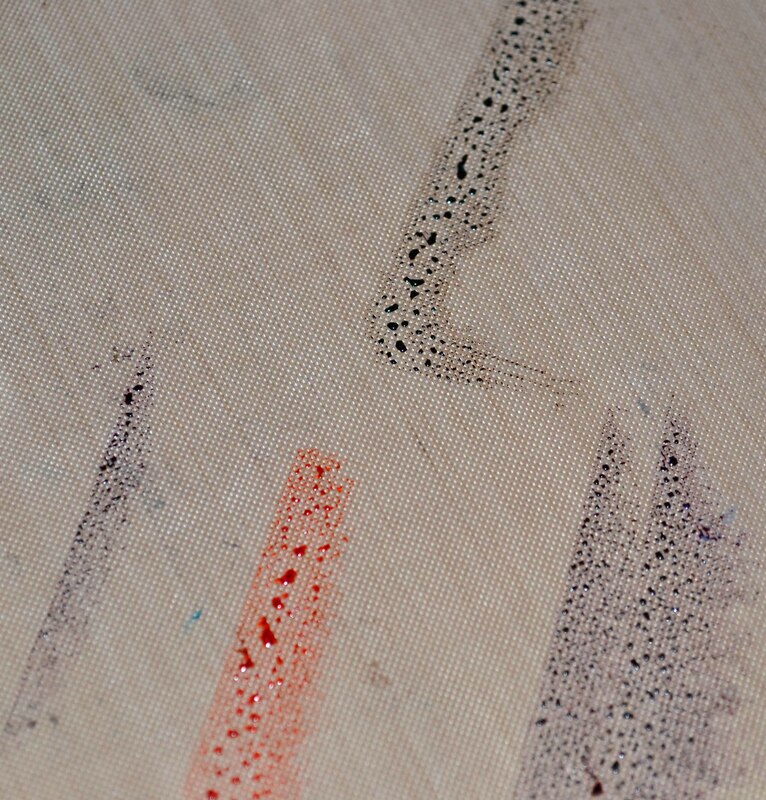 It’s a pigment ink, but fast drying on porous papers. It’s a thick, rich gold that won’t tarnish or dull. 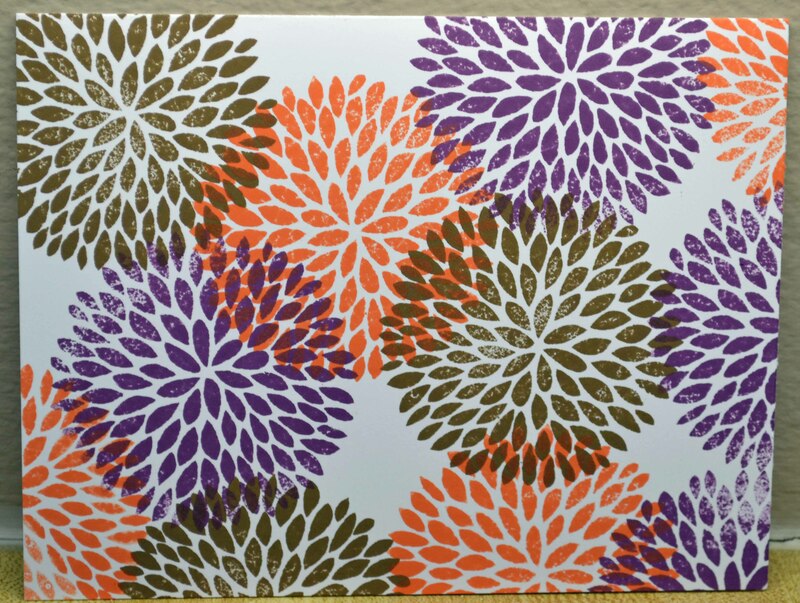 And although you CAN emboss it, it’s designed to look its shimmery best without embossing. I hope you can see the shimmer. I hope to work more with the Delicata this week and post some projects. But I couldn’t wait to give you a peek. Come back Friday for more Fabulous Finds! 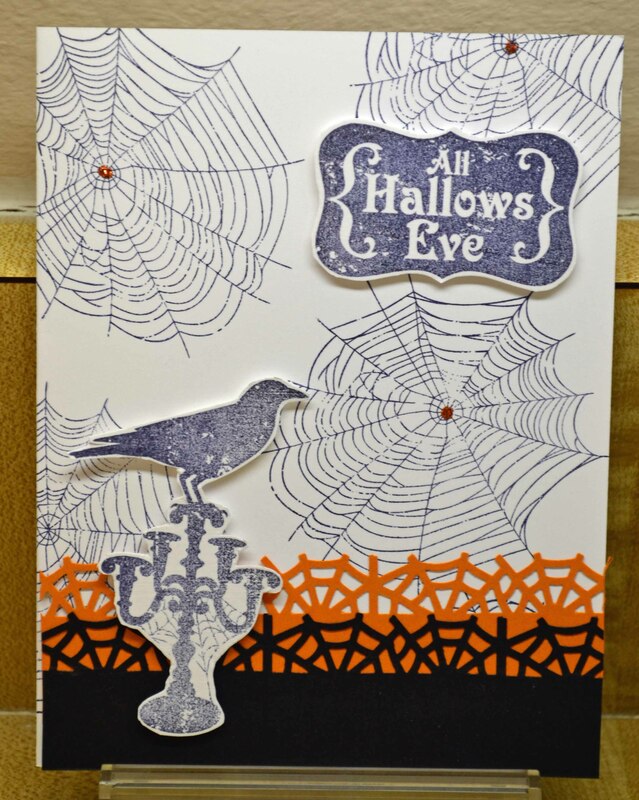 I’ll soon be posting some Halloween cards … and check out the December issue of Crafts ‘n things magazine — my Basics & Beyond column is all about mixed media. I’ll be sharing some extra projects here, too. And now, back to your regularly scheduled week…. Fabulous Finds Friday — Framelits! 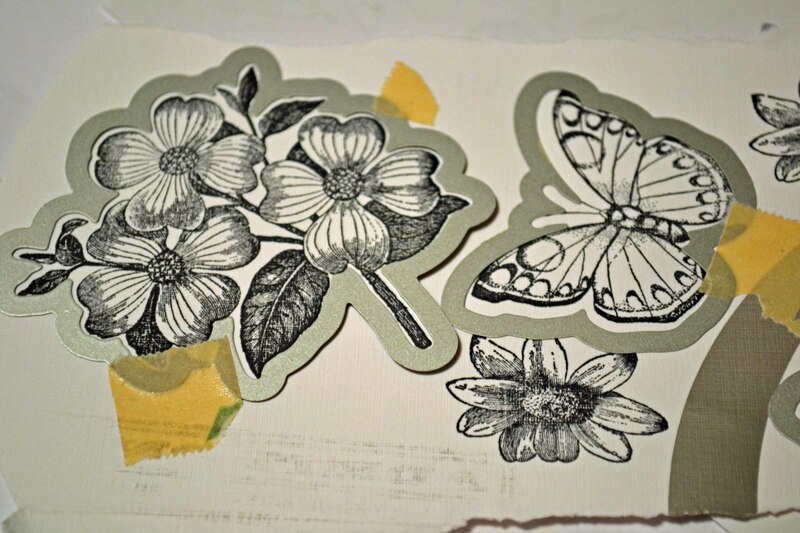 By now, most of you savvy stampers have heard of and seen (and probably played with!) 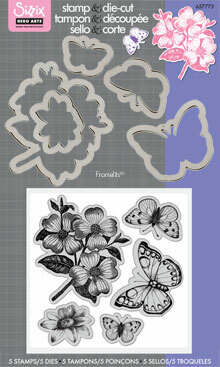 the stamp/die combos from Hero Arts and Sizzix. Talk about doubling your fun! I love that you can see exactly where the cutting edge should go — see how I taped the dies down using low-tack drafting tape? (Ha! Not that it mattered — look how wonky the butterfly is!) My tip? Make sure you leave enough room between the stamped images for the die edge. Duh. Ack! That is pathetic! Ah, well, stamp and learn. Pretty cool, eh? These sets take a lot of the work out of cutting! 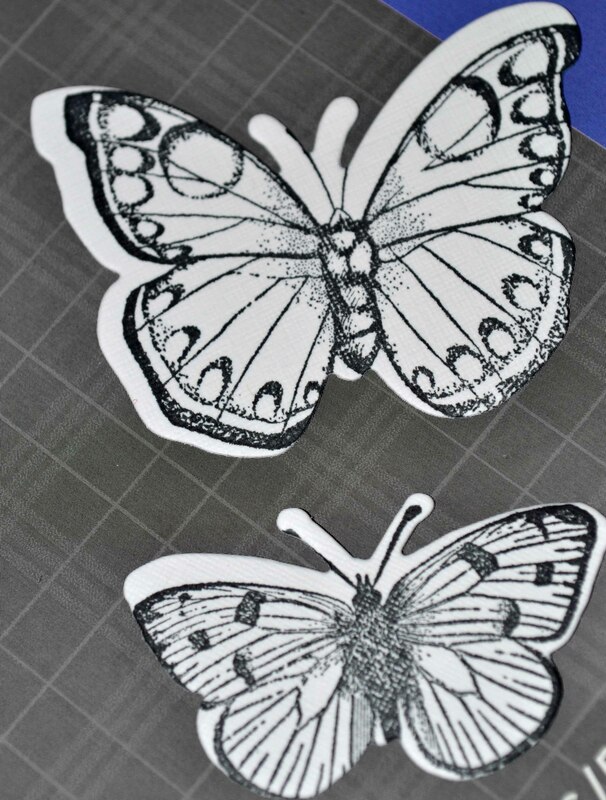 There are some great video tutorials for using these sets — check out heroarts.com and sizzix.com, and look for more on the Internet. 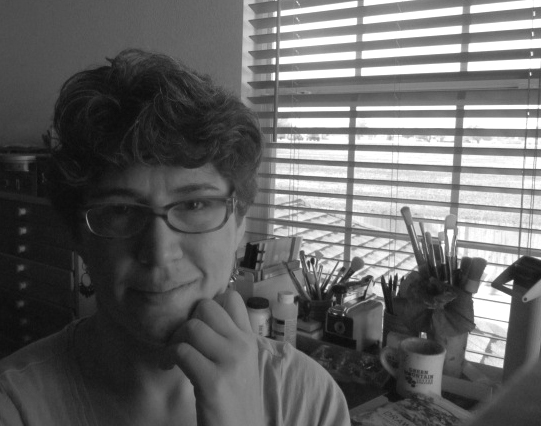 “I had kept an art journal off and on for about 10 years, but it wasn’t until my brain surgery and the six months of recovery that followed that my work in those journals started – really, really, started. I spent about a month in the hospital immediately after my surgery, where I was overwhelmed by my new physical limitations. Let’s just say that the brain doesn’t like being messed with! Although the surgery removed all of my tumor, I couldn’t walk, speak, or use my hands to do ordinary things such as feed myself or hold a pencil. I certainly could not draw or hold scissors. Creating art seemed out of the question, but that wasn’t a part of my past that I was willing to give up. would turn, and usually wind themselves up to a better place.